The EUR/USD currency pair completed an ascending movement and the market went back to the previous levels. This movement may be considered as a continuation of the descending wave. Today we can see a slight consolidation towards yesterday’s fall. The price may grow up towards the level of 1.2980 and then continue moving downwards. 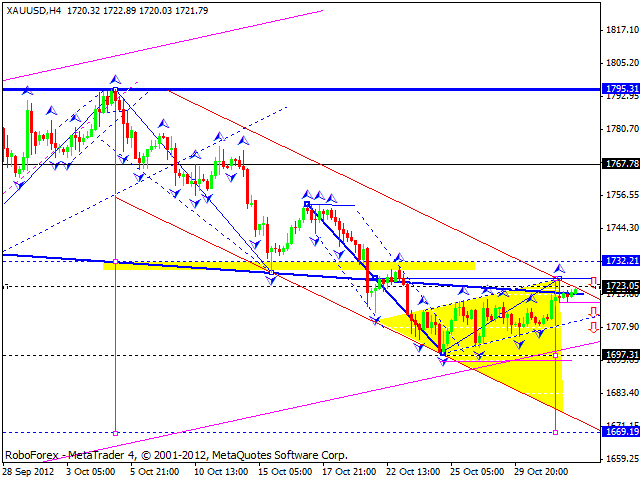 The target is at the lower border of a parallel sideways channel. 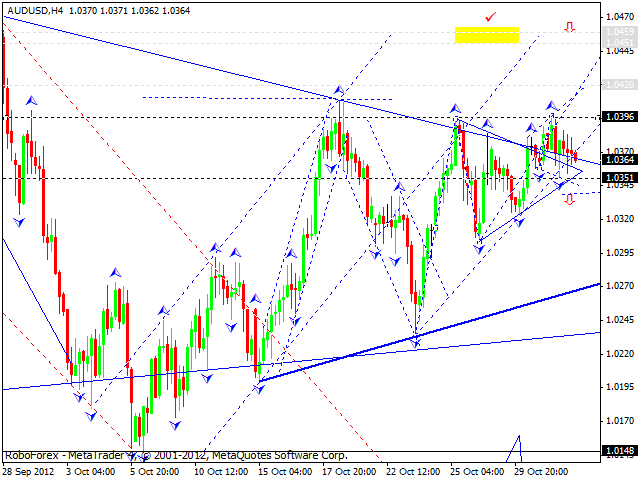 The GBP/USD currency pair couldn’t complete an ascending structure yesterday. Today the price is expected to grow up a little bit towards the level of 1.6148. 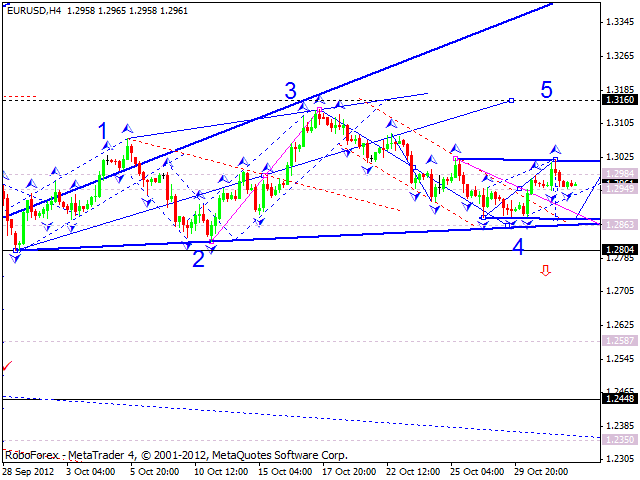 Later the pair may form a pivot point and continue moving inside a descending wave with the target at 1.5790. 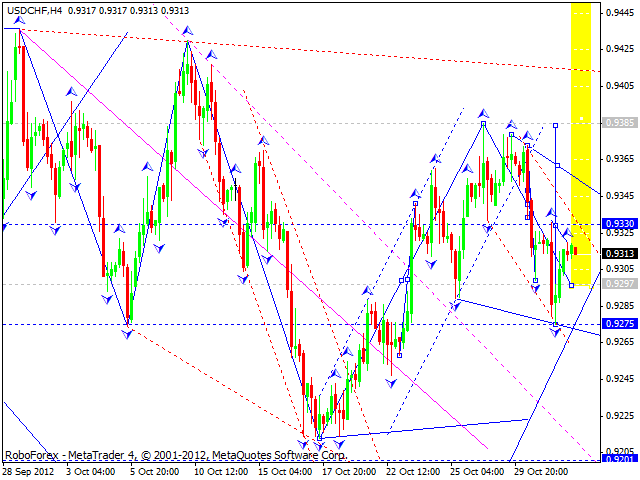 The USD/CHF currency pair started moving upwards. Today we can expect the price to start a slight corrective movement towards the level of 0.9295 and then continue growing up and break a descending channel. The next targets are at 0.9400. 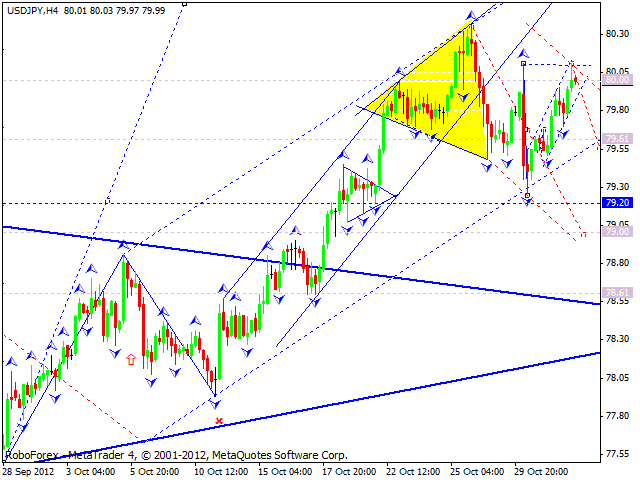 The USD/JPY currency pair expanded an ascending wave a little bit, but this ascending movement is very weak. Today the price is expected to break this ascending channel and start forming the fifth descending wave inside this correction. The target is at 79. Australian Dollar couldn’t start an ascending movement, the pair was moving inside a narrow trading range during the whole day yesterday. The fact the market is unwilling to start growing up indicates that it is going to continue moving inside the “triangle”. 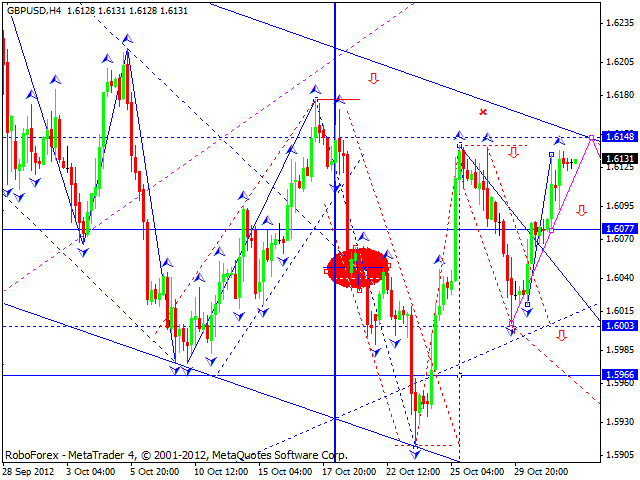 Today the price may break the level of 1.0340 from above and reach the pattern’s lower border. Gold reached the target of the growth. Today the instrument is consolidating below the “neckline”. The price is expected to continue falling down, break an ascending channel, and then move towards the main target at 1670.